Creating confident, independent swimmers for life! Swim Foundations offers a variety of swim teaching programs with a strong focus on learn-to-swim skills for children ages 0-5. We specialize in providing at-home small group lessons in Redding, CA. 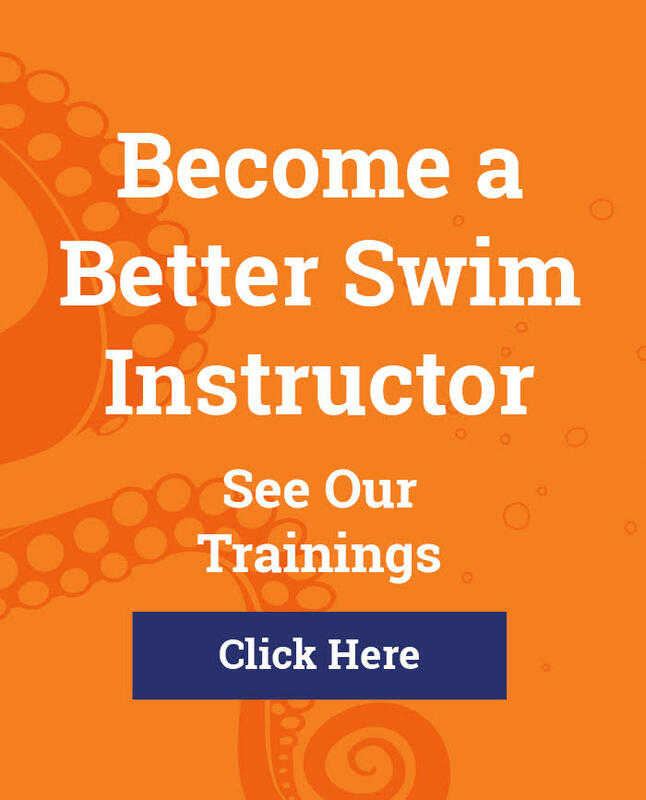 Our swim teaching method is founded on the principles developed by Redding area swim teaching legend, Phoebe Natina, who has taught generations of students to swim and to love the water. We meet and challenge students where they are in their learn-to-swim journey. While most swim lesson programs offer quick 30-minute lessons, our longer classes give students time for group activities, individualized instruction, practice time, and rest. During the summer months, we offer two-week sessions. Each session consists of 8 lessons that run Monday to Thursday. When we teach at private homes, we require a minimum of 4 swim students. If you don’t have your own pool or group of 4 students, we will invite you to join us at another pool. Our teaching is based in love and discipline. Our approach is designed to help children attain safety and independence in the water as soon as they are able. With compassion and belief in the ability of our students, we are able to quickly create a relationship of trust that enables us to challenge our leaners from day one. Every child is starting at a unique place in his/her learn-to-swim journey. How quickly a child learns depends on many factors — age, prior experience, body type, willingness to learn, confidence away from parents, amount of time the child spends in the water, and more. Our first goal is to develop a child who can move comfortably, confidently, and independently in the pool. Our method also instills a love of water and establishes a solid foundation for learning the strokes.r learn-to-swim journey. How quickly a child learns depends on many factors — age, prior experience, body type, willingness to learn, confidence away from parents, amount of time the child spends in the water, and more. Our first goal is to develop a child who can move comfortably, confidently, and independently in the pool. Our method also instills a love of water and establishes a solid foundation for learning the strokes. We generally start babies in the pool at 6 months, with some exceptions depending on baby’s age at summertime. 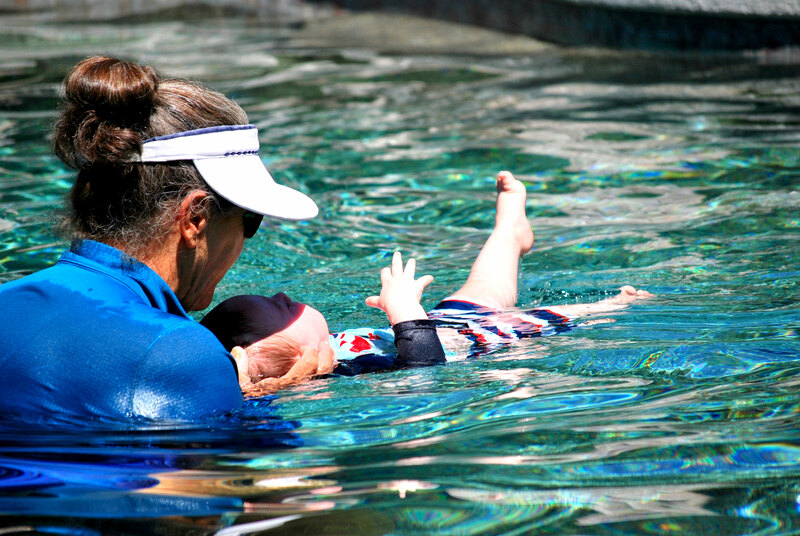 Many of our swimmers start lessons at 2, 3, and even 4 years of age. How can I prepare my child for his or her first swim lesson? Start talking about your first swim lesson days or weeks in advance. Help your child understand what’s going to happen — that they will learn from a teacher, that they’re going to be challenged, that mom/dad/grandparent is going to be watching the whole time, etc. Spend bath time experimenting with blowing bubbles, getting the face wet, and kicking the feet. Remind them that Everybody Learns to Swim! What do we need to bring to our swim lesson? Bring a swimsuit, goggles, and one or two towels. We require caps or hair ties for children with long hair. You do not need to bring any flotation supports that your child(ren) are accustomed to using. For our outdoor lessons, apply sunscreen before arriving to the pool, and at least 20 minutes before entering the water. Do you only offer group lessons? We give individualized instruction in a small group setting. While most swim teaching programs offer quick 30-minute lessons, we teach a full 60-minute class giving students time for group activities, individualized instruction, practice time, and rest. We believe in the power of positive peer pressure and making lessons fun and interactive. Teaching in small groups also gives us the flexibility to combine children of different ages within the same family in the same class. My child has been going to swim lessons for two summers and still doesn’t swim. How do I know your program is going to work? Unfortunately, we hear this from many parents. We have over 40 years of teaching behind us, and have taught generations of swimmers, many of whom have gone on to become swim instructors and competitive swimmers. Our philosophy is to help every child meet his/her maximum potential as quickly as they are able to. Our swim progression is founded on the principles of the vertical float. We do teach back float in our lessons. Is there a fee for coming to my pool? For pools in Redding, there is no additional fee. If your pool is located outside Redding, an additional fee will be applied. Fees start at $25. We don’t have a pool. Can we come to someone else’s pool? Yes, we work closely with pool owners to make it possible for families without pools to get swim lessons with us. We work with your schedule and availability to match you with an appropriate pool. We do expect visiting parents to be respectful of the pool owner’s space and follow all pool rules. We do our best to provide you with a makeup opportunity, depending on availability and the specific circumstances. Our goal is to accommodate our customers to every extent possible. If we have to cancel a class due to pool malfunction, natural disaster, etc., we will get in contact as soon as possible and will do our best to reschedule.